Handcrafted ceiling luminaires light up a luxurious lobby. 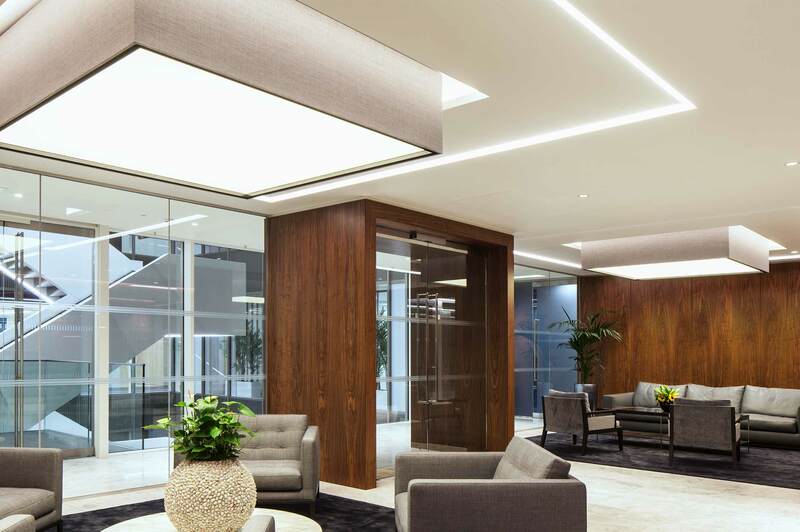 The reception area of this prestigious new office required two large custom luminaires to break up the space and define two seating areas. We were commissioned to create the oversized “drum” pendants with a beautifully upholstered surround and an homogeneous lighting effect. The bespoke, square-shaped luminaires consist of a structural box-section framework and an outer layer upholstered with the same soft grey Kvadrat fabric used in the seating, for a cohesive and domestic look. 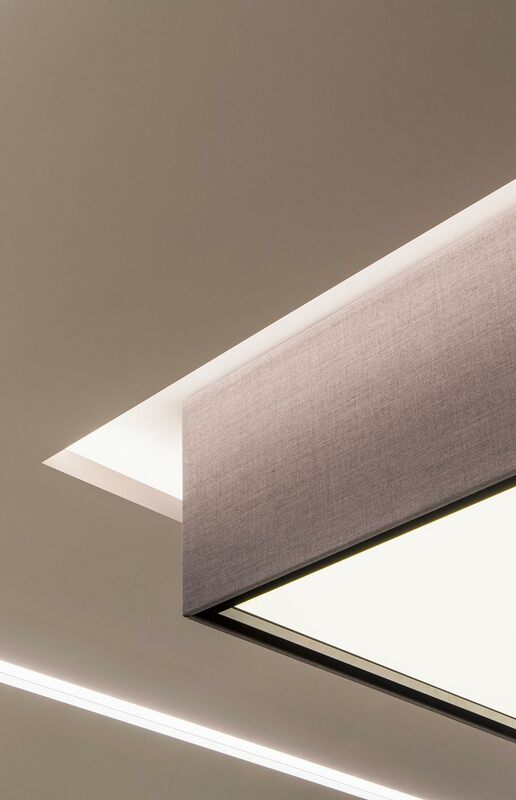 For the base of the shades we used a stretch fabric diffuse surface to achieve the even, balanced lighting effect. We also designed a shadow-gap detail in the bottom corners of the light fittings for a flawless join between the surface and upholstery. The latest warm-white LEDs were carefully placed inside the fittings to create an even level of illumination. The semi-recessed, dimmable luminaires sit above the lobby’s seating areas and are complemented by a border of light within the architecturally tiered ceiling.